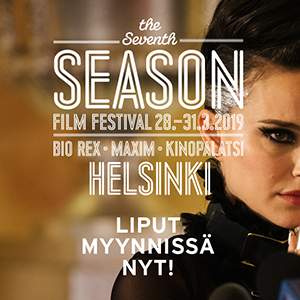 Helsinki International Film Festival’s ticket sales got off to a good start when the ticket booth’s opened on 11 September at 10 AM. In line with previous years, the Gala Films were the most popular. The opening film WHIPLASH and closing film BOYHOOD both sold out within the first 30 minutes of ticket sales both in the web shops and at the ticket booths. Iain Forsyth’s and Jane Pollard’s Nick Cave documentary 20,000 DAYS ON EARTH was also fully booked on Thursday. Many other music films on the programme were popular as well. The most popular music films included Lenny Abrahamson’s FRANK starring Michael Fassbender and indie musical GOD HELP THE GIRL directed by Belle and Sebastian singer Stuart Murdoch. Other popular films at the ticket booths included sci-fi films THE ZERO THEOREM and PREDESTINATION as well as the new film THE LOOK OF SILENCE by Joshua Oppenheimer, whose The Act of Killing was a smash hit at last year’s festival. Ken Loach’s JIMMY’S HALL along with FACK JU GÖHTE, OF HORSES AND MEN, THE TRIP TO ITALY and LOVE STORY were also popular. During the first six hours of ticket sales, close to 20 000 tickets were bought or reserved. The festival’s nearly 500 screenings still offer the audience plenty to choose from. It is still possible to get tickets for the fully booked screenings when any unclaimed tickets are be put back to sale on September 18. Journalists are asked to note that a new press screening of the documentary FOODIES from the festival’s culinary series has been added on Thursday, September 18 at 10 AM in Kino Engel.